On the occasion of the 70th anniversary of the February 28 Incident and the 30th anniversary of the lifting of martial law, Culture Minister Cheng Li-chiun announced plans to transform the National Chiang Kai-shekMemorial Hallfor transitional justice. The guiding principles for promoting transitional justice include restoring historical truths, clarifying responsibilities, advocating political rehabilitation, and implementing human rights education. These goals will require the government to work with the private sector on the path to reconciliation. Minister Cheng noted that the memorial hall, which is now a national agency affiliated with the Ministry of Culture, was established to commemorate an authoritarian ruler. She had responded to congressional interpellations after taking office, stating that the implementation of transitional justice has been one of her top priorities. 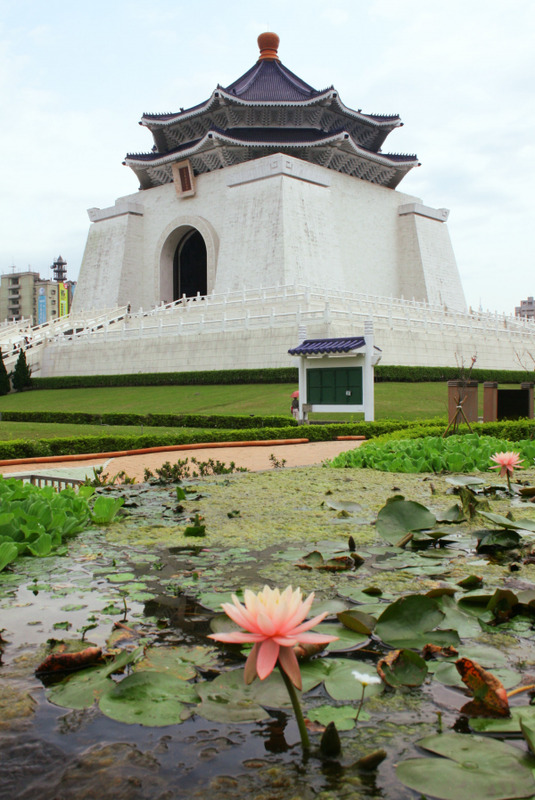 The Ministry of Culture will propose a draft amendment on the "Organization Act of the National Chiang Kai-shek Memorial Hall Management Office” to implement the transformation work on a legal basis as response to public expectations. Scholars and experts have been invited by the Ministry of Culture to form an advisory group for transforming the National Chiang Kai-shek Memorial Hall. They will be assisting the Ministry with organizing civic discussions regarding measures, purpose, and urban planning of the transformation. Only after the discussions are complete will the Ministry propose the draft amendment. Before the amendment is ratified, the Ministry will first gradually return the venue to neutral use based on the administrative responsibilities outlined in its organizational act. At present, the sale of products associated with the authoritarian ruler such as toy figures, stationery, and accessories have been stopped. The paper-cut silhouette logo of Chiang has also been replaced with a neutral image of the memorial hall itself. Moreover, pamphlets and other promotional materials are no longer being issued, and the practice of broadcasting commemorative songs at the venue has been halted as well. The exhibition rooms, gallery, and concert hall have been renamed with more neutral titles and will henceforth only be used for artistic and cultural purposes. The Ministry will continue to proceed with administrative operations regarding the transformation such as returning the cultural relics to Academia Historica. Minister Cheng noted that countless Taiwanese people had sacrificed or suffered in the February 28 Incident and reign of White Terror. Families of these victims also encountered discrimination and endured personal agony for a long time. To face such history, pushing for transitional justice will help promote reconciliation and rebuild social trust, as well as clarify the truths and responsibilities. Minister Cheng stressed that only by facing the history and agony will people truly learn and avoid repeating the same mistakes as the past. Thus, in addition to transforming the memorial hall, the Ministry of Culture has also been preparing for the establishment of the National Human Rights Museum. Following the Executive Yuan's approval of the midterm plan for the National Human Rights Museum last October, the Ministry of Culture has completed and recently submitted a draft of the museum's organizational act to the Executive Yuan. Meanwhile, the Ministry of Culture has been organizing and collecting historical documents from the White Terror era. These relics will be housed by the upcoming National Human Rights Museum to help the museum fulfill its function as an important base for human rights education in Taiwan through its educational exhibitions and events. The Ministry will do its best to help restore historical truths and reconstruct history from a cultural perspective to advocate continuous dialogue and reflection between contemporary society and its history. Transitional justice will also ensure freedom and human rights are the common values shared by citizens of Taiwan to promote reconciliation in society. Read the original press release in Chinese here. Visitors Today:75. All Time Visitors:1,229,882.